270 pages | 115 B/W Illus. 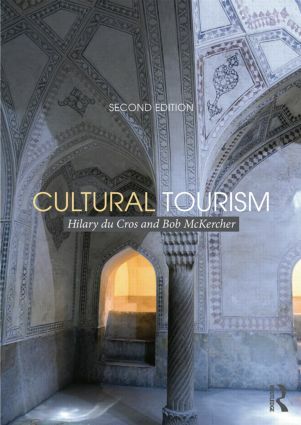 Cultural Tourism remains the only book to bridge the gap between cultural tourism and cultural and heritage management. The first edition illustrated how heritage and tourism goals can be integrated in a management and marketing framework to produce sustainable cultural tourism. The current edition takes this further to base the discussion of cultural tourism in the theory and practice of cultural and heritage management (CM and CHM), under the understanding that for tourism to thrive, a balanced approach to the resource base it uses must be maintained. An ‘umbrella approach’ to cultural tourism represents a unique feature of the book, proposing solutions to achieve an optimal outcome for all sectors. • New sections on tangible and intangible cultural heritage and world heritage sites. • New case studies throughout drawn from cultural attractions in developing countries such as Southeast Asia, China, South Africa and the Pacific as well as from the developed world, particularly the United States, Britain, Japan, Singapore, Australia and Canada. Written by experts in both tourism and cultural heritage management, this book will enable professionals and students to gain a better understanding of their own and each other’s roles in achieving sustainable cultural tourism. It provides a blueprint for producing top-quality, long-term cultural tourism products. Hilary du Cros is an Honorary Research Fellow, University of New Brunswick, Canada. She has a unique perspective on tourism, heritage and arts management after 30 years as an academic and consultant in the Asia-Pacific Region. Books include The Arts and Events with Lee Jolliffe (Routledge 2014) and Cultural Heritage Management in China with Y.S.F Lee (Routledge 2009). Bob McKercher is a Professor of Tourism at the Hong Kong Polytechnic University. He has wide ranging research interests focused around special interest tourism markets, product development and consumer behaviour. He received his PhD from the University of Melbourne in Australia, a Masters degree from Carleton University in Ottawa, Canada and his undergraduate degree from York University in Toronto, Canada. Prior to entering academia, he worked in a variety of operational and advocacy position in the Canadian tourism industry.